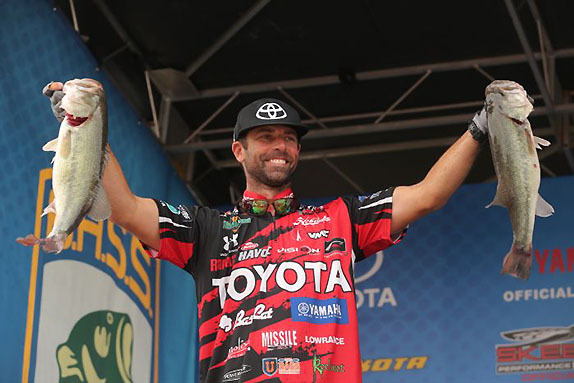 Mike Iaconelli will be among the field for this week's Sabine River Bassmaster Elite Series after all. Back in early April, when the event was postponed for 2 months due to high water, Iaconelli said there was a high probability he'd have to miss it because of a major television project he's involved with. He said over the weekend, however, that he's reached an arrangement with the network and production company that will allow him to fish this week. He said the agreement came together after last month's tournament at Lake Travis. "It's a good thing because where I'm at in the points, it would have made it super-difficult to still make the Classic after missing an event," he said. Iaconelli is 49th on the points list and will likely need to move up at least a dozen spots prior to the end of the season to qualify for the 2019 Classic. His streak of 17 consecutive Classic qualifications is the longest in the game.